Asiad Steels is one of the renowned manufacturers and suppliers of Inconel 600 Washers, which are manufactured from alloy containing nickel as base element with additions of chromium. Inconel 600 Flat Washers are manufactured using premium quality raw materials like nickel alloy, titanium, stainless steel and others. The chemical processing, electronics and semi-conductor industries make use of these Inconel 600 Punched Washers. 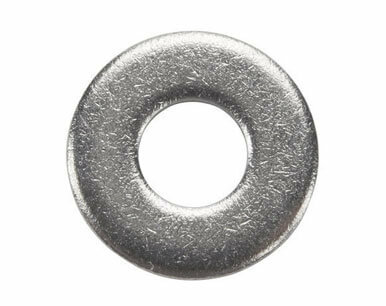 These Inconel 600 Machined Washers a resin-like bonded coating, which offers lesser rate of friction and has excellent resistance to various chemicals like acids. Driven by an intense desire to attain maximum client approval, we assure that the quality of Inconel 600 Round Washers is never compromised at our end by following total quality management. Inconel 600 Square Washers is relatively un-attacked by the majority of neutral and alkaline salt solutions and is used in some caustic environments. Because of its versatility, and because it is the standard engineering material for applications which require resistance to corrosion and heat, a number of different critical industries use Inconel 600 Spring Washers in their applications. 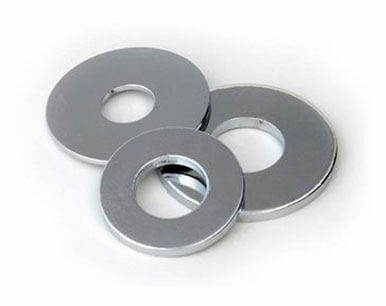 Inconel 600 Lock Washers is often used for furnace components, in chemical and food processing, in nuclear engineering and for the sparking electrodes. Meanwhile, conventional machining techniques used for iron based alloys may be used. This Inconel 600 Spherical Washers does work-harden during machining and has higher strength and “gumminess” not typical of steels. In strong oxidizing solutions like hot, concentrated nitric acid, UNS N06600 Washers has poor resistance. 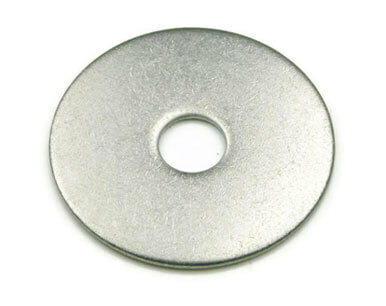 Buy Alloy 600 Washers at reasonable rates from us. We are Exporter of Inconel 600 Washer in Worldwide Such as India, Kazakhstan, Azerbaijan, Romania, Japan, United Kingdom, Poland, Denmark, Iraq, Nigeria, Israel, Portugal, Saudi Arabia, Costa Rica, Slovakia, Trinidad & Tobago,Tunisia, Sweden, France, Algeria, Kuwait, Bulgaria, Belarus, South Africa, Egypt, Netherlands, India, Taiwan, Argentina, Bangladesh, Austria, Puerto Rico, Lebanon, Turkey, Philippines, China, Nigeria, Croatia, Hong Kong, Tibet, Ukraine, Finland, Nepal, Hungary, Thailand, Bhutan, Pakistan, Australia, United States, Zimbabwe, Greece, Poland, Gabon, Norway, Ghana, Qatar, Jordan, Estonia, Bolivia, New Zealand, Bahrain, Ecuador, Afghanistan, Ireland, Chile, Russia, Chile, Oman, Brazil, Lithuania, Iran, Mongolia, Macau, Yemen, Malaysia, Canada, Gambia, Sri Lanka, Mexico, United Arab Emirates, Singapore, Indonesia, Namibia, Czech Republic, South Korea, Switzerland, Venezuela, Peru, Germany, Libya, Belgium, Iran, Colombia, Angola, Morocco, Mexico, Italy, Serbia, Kenya, Spain, Vietnam. We are Suppliers of Inconel Alloy 600 Washers in India Such as Mumbai, Caracas, Jakarta, Dallas, Doha, Howrah, Tehran, Abu Dhabi, Ludhiana, Busan, Moscow, La Victoria, Kanpur, Santiago, New Delhi, Vadodara, Edmonton, Hanoi, Petaling Jaya, Cairo, Sharjah, Jeddah, Thiruvananthapuram, Dammam, Istanbul, Riyadh, Navi Mumbai, Ankara, Kuwait City, Melbourne, Thane, Pimpri-Chinchwad, Haryana, Algiers, Mumbai, Nashik, Gurgaon, Granada, Kuala Lumpur, Ahmedabad, Perth, Chiyoda, Rajkot, Bengaluru, Ranchi, Houston, Milan, Surat, Calgary, Atyrau, Toronto, Kolkata, New York, Ho Chi Minh City, Mexico City, Nagpur, Hyderabad, Los Angeles, Dubai, Al Jubail, Noida, Geoje-si, Ernakulam, Ahvaz, London, Lagos, Indore, Seoul, Sydney, Colombo, Manama, Singapore, Pune, Rio de Janeiro, Al Khobar, Faridabad, Port-of-Spain, Karachi, Lahore, Vung Tau, Courbevoie, Gimhae-si, Secunderabad, Ulsan, Muscat, Madrid, Bangkok, Coimbatore, Montreal, Bhopal, Jaipur, Brisbane, Chandigarh, Visakhapatnam, Aberdeen, Hong Kong, Chennai, Bogota, Baroda, Jamshedpur.